Welcome to Bakersfield Observed, now online only. We celebrate life in Kern County by focusing on newsmakers and events and the local characters who make this such a special place. We value your feedback. Email your news and notes to rsbeene@yahoo.com. Gary Belter and Georgia McCaffrey have listed the property for $15 million, a bargain if you believe it was a $40 million project. 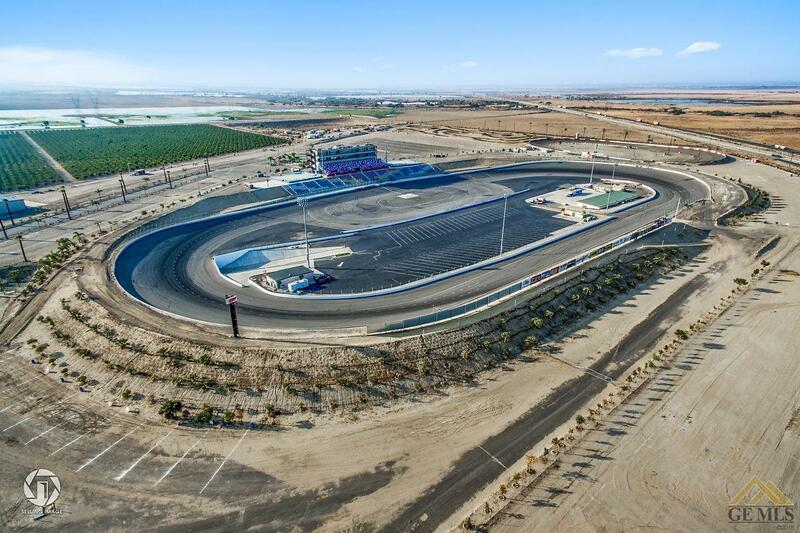 The raceway has room for 3,000 general admission seats and another 1,000 reserved seats, plus 22 luxury suites. The raceway is located just off Enos Lane and Interstate 5. * ... OUR WORLD: What does it say about our society when the two top local stories recently were the City Council approving a "shot spotter" system to locate gang shootings and a program reminding parents they can relinquish their children at a local fire station? 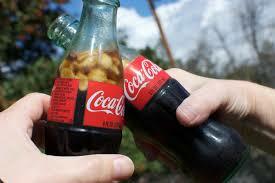 * ... COKE AND PEANUTS: Growing up in the South, my summers were spent drinking an ice cold Coke with salty peanuts. That's right, we'd take a few swigs from the Coke and pour in a small bag of salty peanuts, creating a tasty and crunchy summer drink that never failed to satisfy. When I mentioned this on my radio show (KERN NewsTalk 96.1) a caller said he too drank the same concoction while growing up in Shafter. They called it an "Okie float." * ... SPOTTED ON TWITTER: "Don’t you hate that person who almost never answers your calls or texts… then when you see them they can’t put down their phone?" * ... SPOTTED ON FACEBOOK: "Love is like hearing your favorite song for the first time. Then listening to it over and over again til you hate that song." 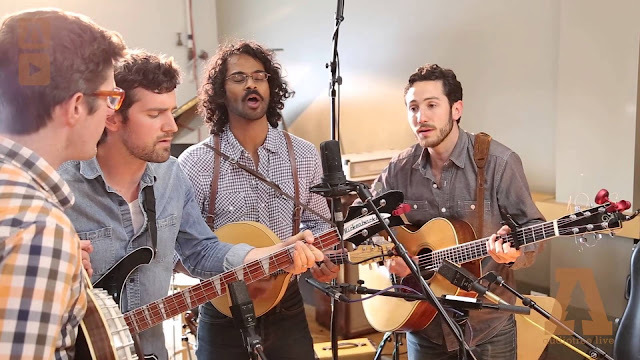 * ... DARLINGSIDE: One of the hottest groups in America, an indie folk band called Darlingside, is coming to Bakersfield on Wednesday, March 7, at the Bakersfield Music Hall of Fame. This four-man group from Boston features incredible vocals and lyrics and is a can't miss event if you are into music. Go to eventbrite.com to get your tickets. 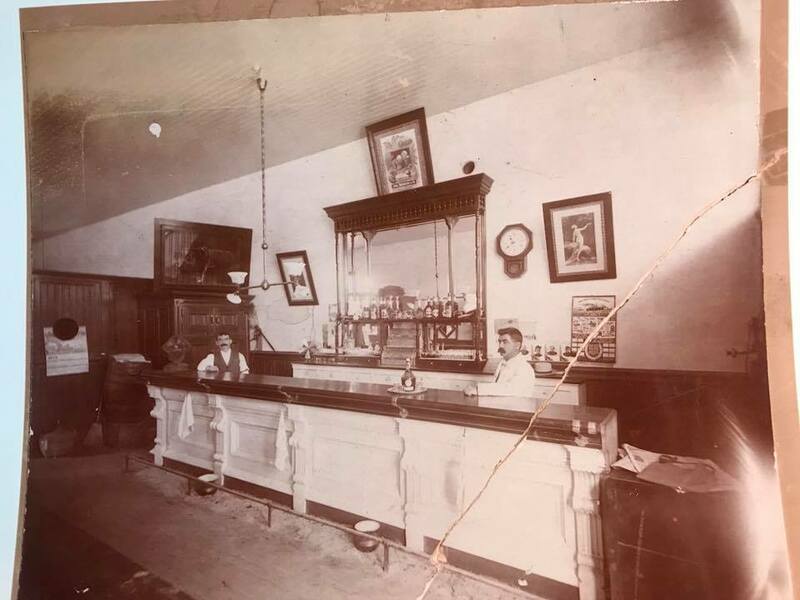 * .... MEMORIES: I loved these pictures of an old Bakersfield saloon featured on the "Kern County of Old" Facebook page. The entry from Todd Walker read: "Jean Eyrauds Saloon...While on one of my history seeking adventures about 25 years ago, I met the owner of an old home in East Bakersfield. The owner of the home happened to be the great grandson of Jean Eyraud, the proprietor of the Jean Eyraud Saloon. 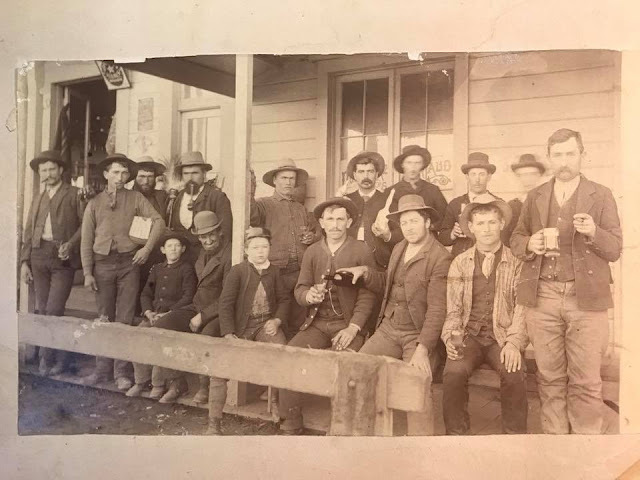 Now, most of you probably have never heard of this saloon or even knew it existed, and neither did I at the time. Anyways, after we got to talking a while about Bakersfield and its history, he mentioned that his great grandfather, Jean Eyraud, had owned a saloon on Sumner Street across from the old train depot, and that he had a trunk containing old family photos and pictures of the inside and outside of the saloon and other businesses on the block. Trying to hold my excitement back I said I would love to check it out. He took me down to the cellar of the old house, and there it was an old trunk from the 1800s! After looking through the old trunk, he had mentioned he wasn’t interested in anything in it, and that he had planned on selling or getting rid of it. Being a collector of old Kern County photographs I gladly purchased just the photos of the saloon and the various buildings around it from him. I told him that he should at least keep the pictures of his family and the old trunk. 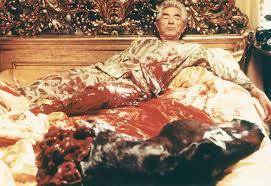 Anyways, that was 25 years ago and I’m not sure whatever happened to him. Since then I have researched the old photographs and believe them to be from around 1890 to 1900. 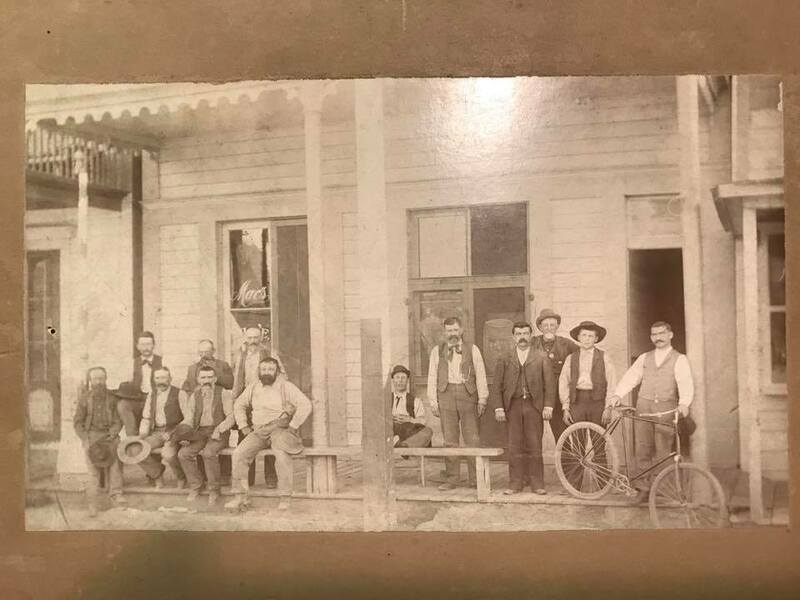 I have yet to find any old advertisement or any other photographs from this saloon besides the ones I have. Here’s all the pictures I got from him. Notice the picture in front of the saloon with everybody holding old bottles, lots of details! 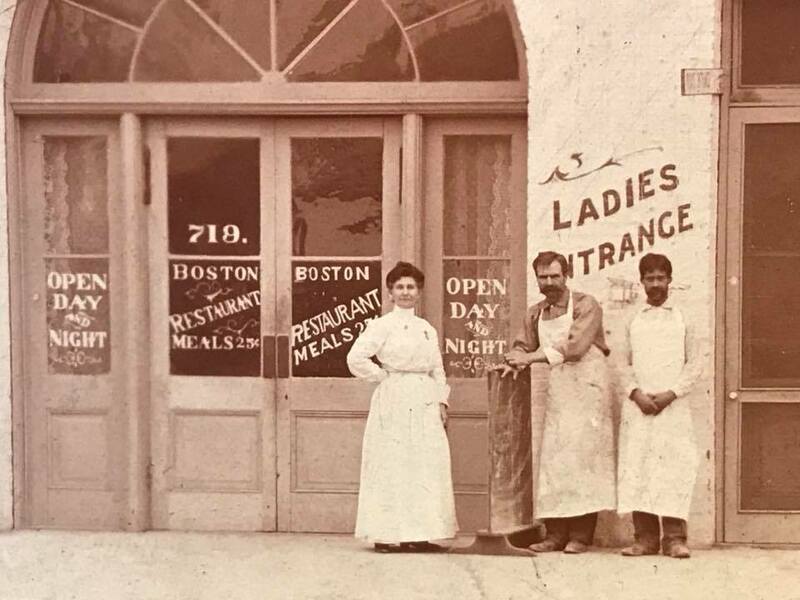 Notice the 'Ladies Entrance' in the picture with the restaurant in it. Definitely different times back then! Hope you enjoy these pictures, I’ve been wanting to contribute them to Kern County photo collection for years." Welcome to Bakersfield Observed, now online only. Our mission is to celebrate life in Kern County by focusing on newsmakers and events and the local characters who make this such a special place. We value your feedback. Email your news and notes to rsbeene@yahoo.com. 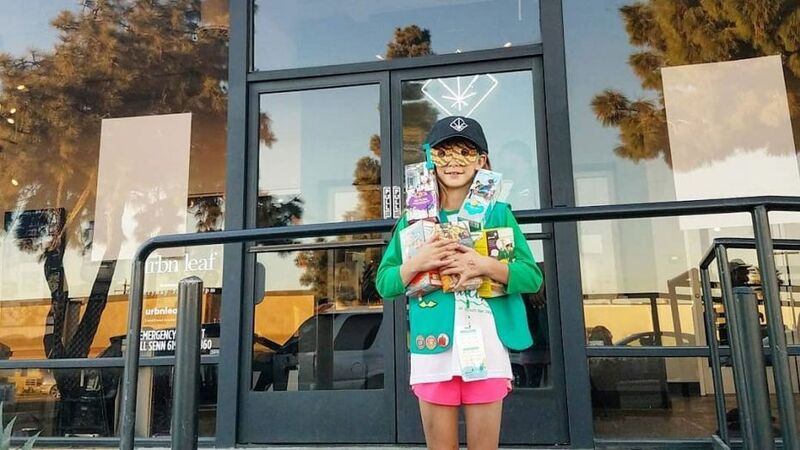 peddle her wares: right in front of the Urbn Leaf marijuana dispensary in San Diego. Now that is a brilliant bit of marketing. The annual cookie sale does not begin for another week but the Girl Scouts allow booth sales earlier as long as they have a parent or guardian present. * ... ADVENTIST HEALTH: Some of the best video marketing in town is being done by the folks over at Adventist Health Bakersfield (formerly known as San Joaquin Valley Hospital). Savvy marketers know that local sells, and messages that include local icons and personalities add a warmth and familiarity that speaks to where we all live. So check out the people and local businesses I spotted in one of Adventist's latest TV branding advertisements: former Assembly member Shannon Grove, Sheriff Donny Youngblood, Dewar's, Cafe Smitten and its owners, Luigi's and police chief Kyle Martin. Keep an eye on Adventist Health and the way it extends and markets its brand. 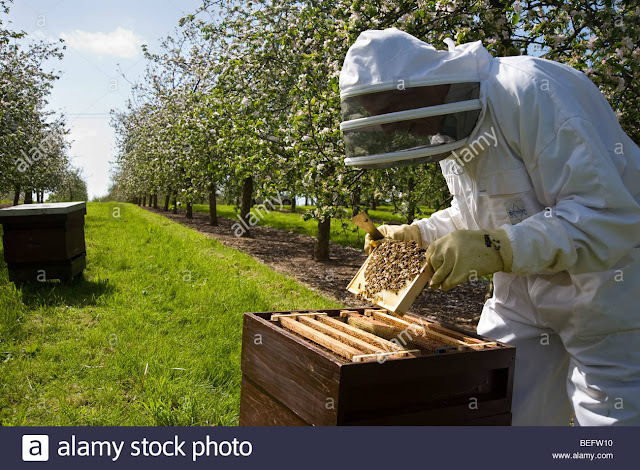 * ... BEE KEEPERS: I was out early this week playing pickle ball at the Bakersfield Racquet Club and met a man named Bill from Arkansas. It turns out he is a professional "bee broker" and he is in town for two months coordinating the trucking in of millions of bees to pollinate our almond orchards. Thirty years ago he said it was almost impossible to kill bees, yet today their lifespans have been greatly shorted by parasitic mites. * ... INTEREST RATES: If you are looking to buy a home this year, you might want to speed up the process. As The New York Times said: "A decade long era of easy access to money engineered by central banks in Asia, Europe and the United Staters" is ending "opening a new chapter in which corporations would have to pay more to borrow and ordinary people would have to pay more to finance homes, cars and other purchases." Scott Berry of San Joaquin Valley Mortgage told me we can expect two to three hikes in interest rates this year. * ... SPOTTED ON FACEBOOK: I saw this on my friend John Kelley's Facebook page: "It was during a heat wave in August one summer when I saw this sign on a telephone pole. 'Garage sale this Sunday 7 a.m. until 100 degrees.'" 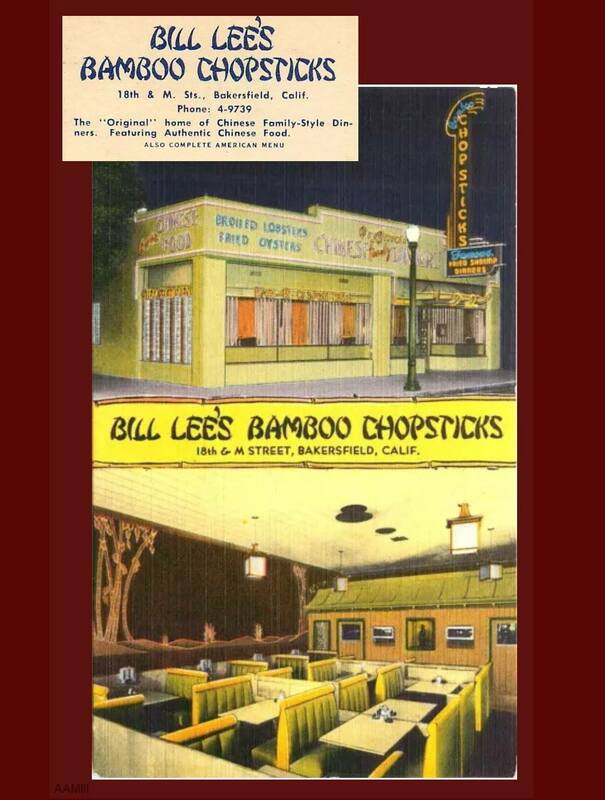 * ... MEMORIES: Check out this old postcard of Bill Lee's Bamboo Chopsticks that I found on my favorite Facebook page, Kern County of Old. 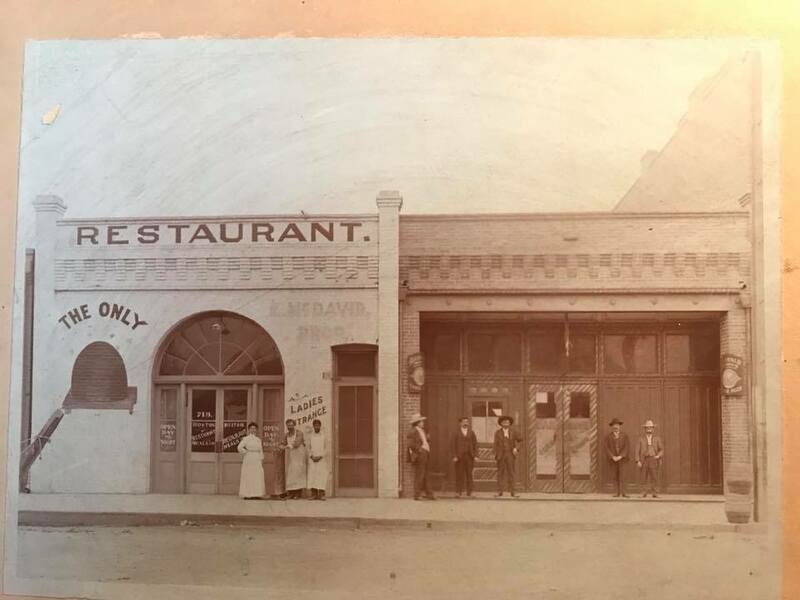 From Art Moore's post: "Here is an early postcard view of Bill Lee's Bamboo Chopsticks on the SW Corner of 18th Street at M Street in Bakersfield. (ca 1940's / 50's) Bill Lee founded the restaurant in 1938 and it is still a local, legendary, eatery that has continued to be family run. Bill Lee passed away in 1990 and is buried at Hillcrest Memorial Park. Oh! ...that the sign could have survived! What a treasure!" 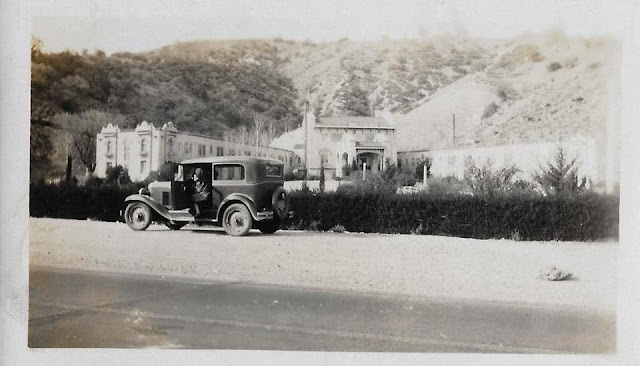 * ... HOTEL LEBEC: And a friend sent me this picture of the old Hotel Lebec, a favorite getaway for Hollywood stars and travelers on the old Ridge Route connecting Los Angeles with Bakersfield. alone. 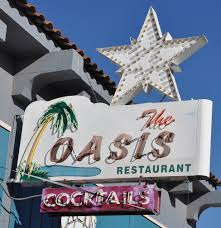 It turns out Toyota filmed its commercial in Taft, and it included scenes of the iconic Oasis bar and restaurant, the First Baptist Church and the historic Fox theater. * ... MOVING UP: Jimmy Phillips, who spent 10 years at Adventist Health Bakersfield/San Joaquin Community Hospital, has been promoted to the group's Regional Director of Marketing for Adventist Health's Southern California Region. Said Phillips: "My responsibilities will be to oversee all marketing activities for our hospitals in Glendale, East LA and Simi Valley, along with our clinics throughout the Greater LA area. Even though I'll be saying goodbye to Adventist Health in Bakersfield, Natalie and I will continue to make our home here (and I will get to know the Grapevine really well). Thanks to all our family and friends for the support over the years. It means more than you know. " * ... DIGNAN: And congratulations to Brian Dignan who has been named athletic director at Garces Memorial High School. He previously served as the school's head men's basketball coach. 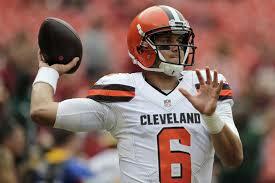 * ... CODY KESSLER: I chatted with Cody Kessler the other day to catch up with the Centennial and USC grad who is now a quarterback for the Cleveland Browns. He was home here in Bakersfield, headed to the Super Bowl and then on to Newport Beach for off season training. Kessler is hopeful to win the starting job after seeing little action last year. He says he is fit and ready to help turn the Browns around. And ... his favorite place to eat when he comes home? Salty's BBQ he told me. * ... HEALTHY EATING: I have wondered for a long time why Bakersfield doesn't have more restaurants devoted to healthy salads. Well, one just opened downtown on 19th and Eye Streets called "Tossit" and it features make it yourself salads for under $10. 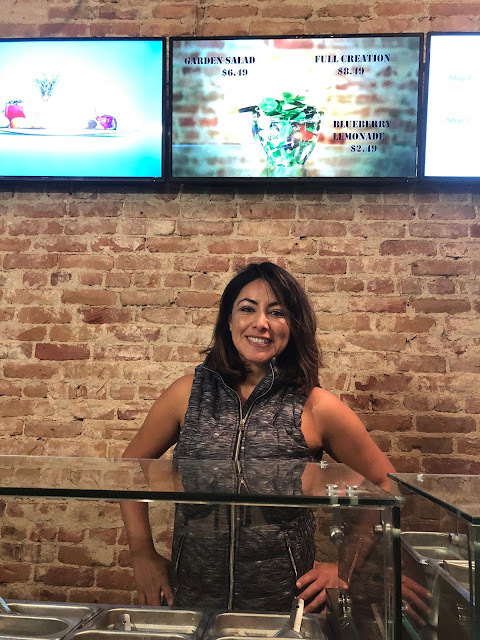 The owner, Gabby Gonzalez, told me they hope to capitalize on the healthy eating trend without sacrificing quality. Check it out. Tossit is on Eye Street in the same building that houses Metro Galleries and Jin Sushi. * ... FOODIE: Speaking of healthy eating, our local Eureka burger will start selling the new, leaner, grass and carrot fed Santa Carota beef burger this Thursday. 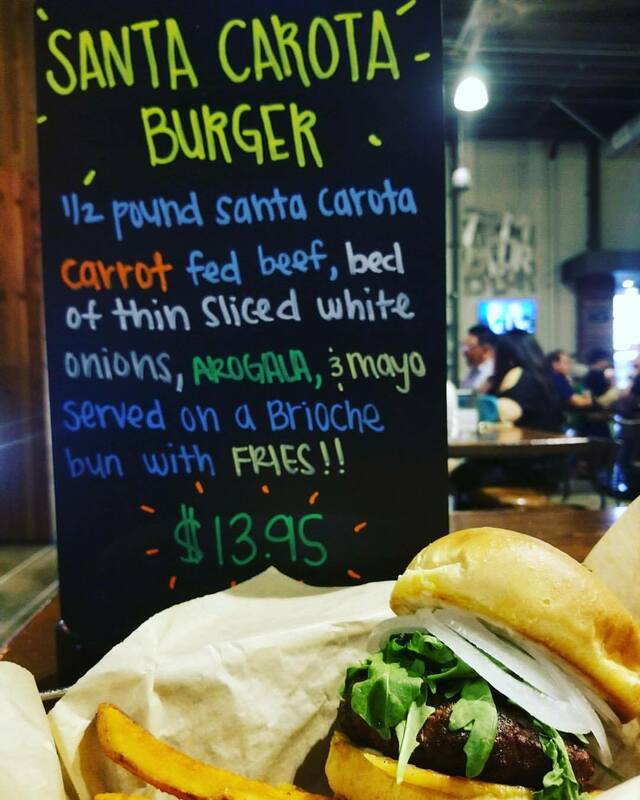 The beef is from a local cattle ranching family and is leaner and moister than the more fatty versions found around town. * ... SPOTTED ON TWITTER: "I found a horse’s head in my bed this morning, and that’s when I knew things were getting serious with my overdue balance at Comcast." * ... OLD PHOTO: Check this photo out from the Facebook page Kern County of Old: "Buck Owens' Buckmobile N Chester Ave and RR tracks Oildale about 1975. 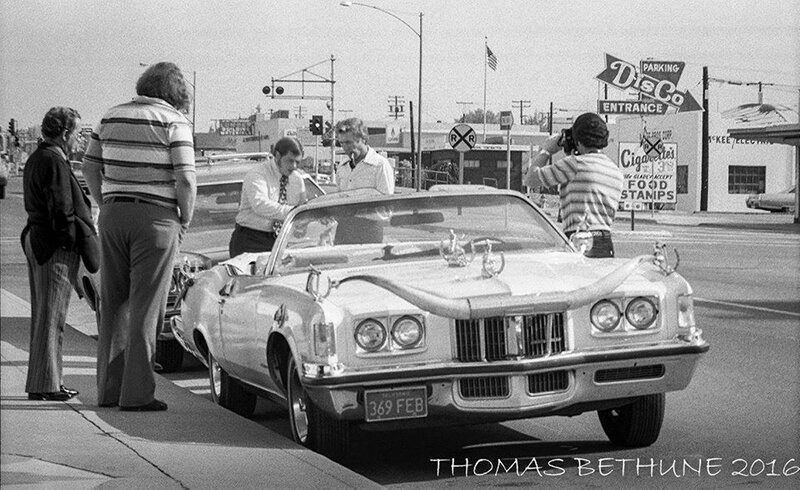 Photo courtesy of Thomas Bethune (thanks Tom)." * ... 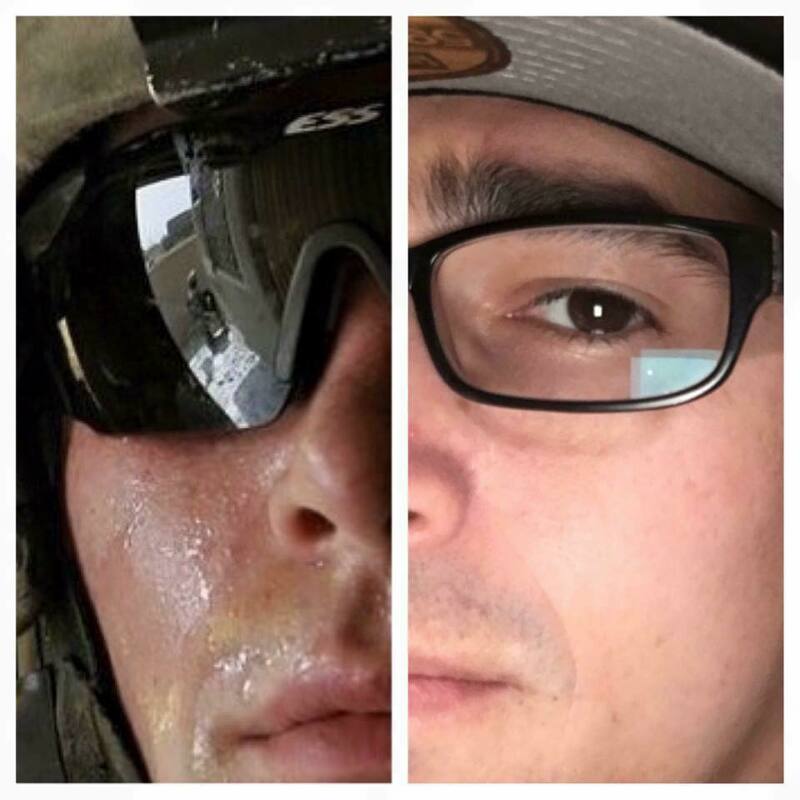 TUNE IN: On Tuesday this week, I will be chatting with combat veteran Chad Garcia on a wide range of veterans issues- from PTSD, to suicide to adjusting to life after years in a combat zone. Garcia is a former producer for the recently fired Jaz McKay radio host and was at the center of his dismissal, and his personal story is reflective of the challenges that many veterans face. Garcia will appear Tuesday at 2:30 p.m. on KERN NewsTalk 96.1 FM.